Single Breed Open Shows are a dog show that only one breed of dog can enter. 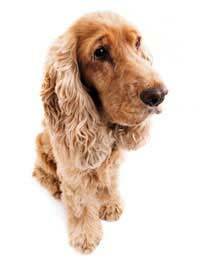 The Kennel club has over two hundred different breeds of dog registered in the UK. All of these clubs are allowed to register at least one club to represent their breed. They will be licensed to hold dog shows and will also arrange social and educational events for their members. These clubs protect the breed standard (which is owned by the Kennel Club) and ensure that their members work positively for that breed. Is There One Club for Every Breed? This depends on the number of dogs registered with the Kennel Club of that breed. Newer breeds to this country start off with one club and if the breed grows in size the Kennel club may grant permission for more clubs to be registered. Some popular breeds have quite a lot of clubs the Cocker Spaniels have twenty clubs but these are spread throughout the United Kingdom.Sometimes it may seem that a breed has too many clubs. This could be because a breed, once popular with the dog owning public, is now not so popular. An example is the Old English Sheepdog, their breed numbers peaked twenty years ago but the breed still has twelve clubs – all actively supporting the breed. The Kennel club will never ask a club to disband; instead it is expected that some of the clubs will amalgamate. Who Can Enter a Breed Show? Any person owning a dog registered with the Kennel Club of that particular breed will be entitled to enter. There are usually classes for dogs from the age of six months up to veterans – over seven years of age. If your chosen breed has more than one club there is no reason why you cannot belong to them all. If you are actively campaigning a show dog and intend to enter all of the breed shows it will save you money on entry fees as members usually have the benefit of cheaper entry fees. It is always worth belonging to your local breed club. Most breed clubs organise social events for owners and their dogs plus educational events covering subjects such as health related matters and training for judges. If you are a member of the breed club and win your class at the show, you will be entitled to take home any trophy on offer. How Can I Find Out About These Shows? Members will be sent a schedule of the show automatically.These shows will be listed in the Kennel Gazette and also in the canine press. The writers of the breed notes in each of the canine publications will also give the dates of upcoming club shows. A telephone call to the secretary or show manger will ensure you receive a free copy. Breed Club trophies often have quite a lot of breed history behind them. Engravings will show many years of previous winners with the trophy usually donated by a well-respected kennel of yesteryear. If you have the honour to win one of these trophies you will be expected to keep it clean and safe until it is returned the following year ready for the next winner. The judge will either be a well-respected judge within the breed who has judged the dog for many years at Championship level or an all rounder (that judges other breeds) may be invited. It is also possible that a person within the breed is invited to judge the show; this person may not yet have judged a lot but will be keen to do so and is listed on the club’s judging list of people who are qualified to judge the breed.